Ensure that the surrounding rubber seal is in place before replacing the lid of the rear compartment. Use silicone if you wish to ensure that the seal remains in place. 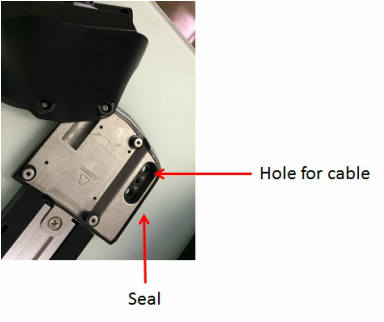 There are holes in the base of the compartment. 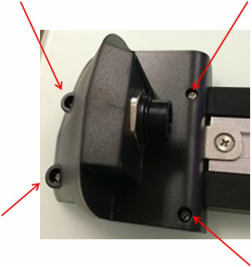 Pass the electrical cable through the last hole (as indicated in the picture above). 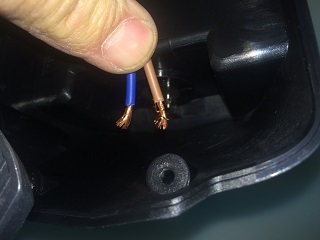 Hint - to make the job of passing the cable through the hole in such a way as not to force the rubber grommet out of position, dampen the cable with soapy water. Hopefully you haven't lost the screws by now. Screw the lid of the compartment back into place.